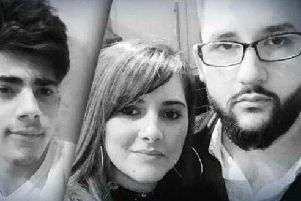 Musicians from across Peterborough will come together this weekend to raise money for two children whose mum was killed in a car crash. Katy Cunningham (46) of Temple Grange, Peterborough, died when the car she was driving was involved in a collision with two other vehicles on the A16 in January. Her children, Zackeri (8) and Fraya (11) were seriously injured in the incident, and are facing a long recovery. A fundraising day of music will take place in Samms Bar, Bridge Street, Peterborough on Saturday (April 6) to help the two youngsters. A number of popular local bands on the Peterborough circuit have already signed up to play at the event, including headline act The Famous Unknowns - with all waiving their fee to play. The event is free to get into, and will start at 3pm - with a collection and raffle raising money. The venue has been supplied for free, and Rocket Park Studios have also given PA equipment for the event without charge. Money raised will be used to support Zackeri and Fraya in the future, paying for new equipment and treatment.